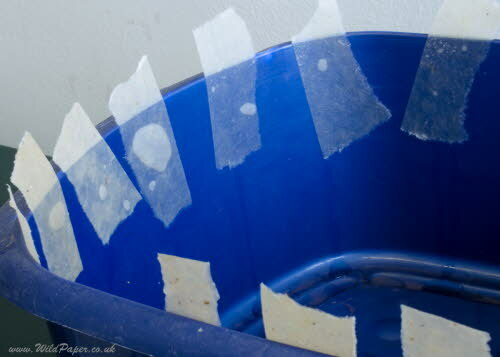 Lift the wet paper and place each piece against the inner side of the bowl, leaving a corner of the paper sticking up above the rim of the bowl. This makes it easier to pick up the piece of paper in the next step. Leave a small space between each piece otherwise they will stick together. Let the excess water drip for a minute or two.